The housing boom of the mid 2000s sparked an increase in square footage in homes across America, especially in historically cramped areas such as bathrooms and kitchens. While some overzealous mortgage lending caused hardship to many, the houses that were built during this period provide current owners the space to inject some innovative new technologies which make life easier, while often providing some entertainment to boot. 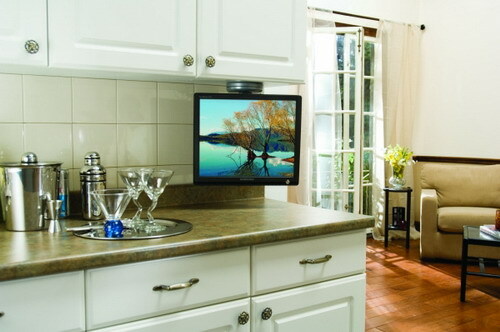 Here is some of the latest technology available for the kitchen, which mix functionality with the “cool” factor. For those that need their TV and radio fix in every room of the house, many new appliances provide a solution by building in screens and speakers right into their surface or surrounding cabinetry. Catch your favorite show while preparing dinner with a TV-enabled range hood or opt for a bigger screen placed above your built-in double oven. Media-enabling is not limited to large appliances, however. At CES 2012, a talking measuring cup was introduced, taking baking to a whole new level. Samsung has recently released a line of refrigerators that personify the term “smart appliances.” How? These refrigerators maintain a permanent connection to the Internet via the home’s Wi-Fi connection. 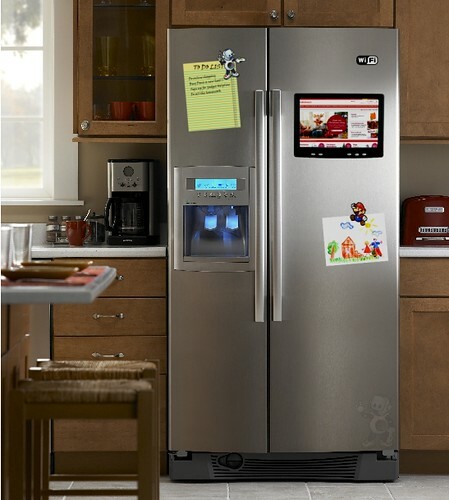 A large LCD screen on the front of each refrigerator enables web searches, for things such as recipes and nutrition information, without having to leave the kitchen. Furthermore, the touch-enabled screen can be used as an electronic noteboard, replacing the messy dry-erase or chalk versions of the past. Recipe searches and notes are just the tip of the iceberg, as some models even keep track of food stored inside to alert you of spoiled food. 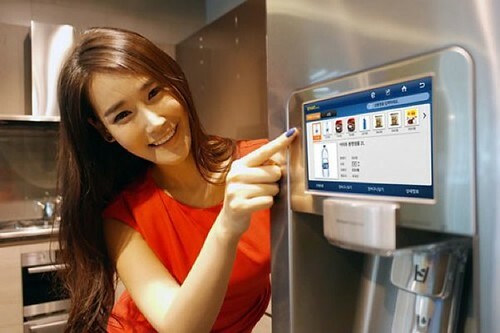 Outside of the United States, some homeowners can even order groceries and have them delivered to their homes from the LCD panel. For those in the U.S., the next best thing is to access your refrigerator from the store to see its inventory, and therefore easily produce a list of items that need to be purchased. 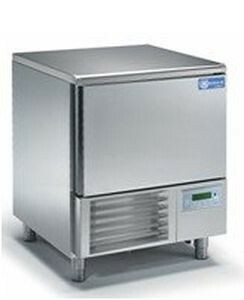 Another amazing item, relatively new to the home kitchen market, is blast chillers. Blast chillers are special compartments in high-tech refrigerators which shoot cold air at gently rotating cans of soda or beer in order to cool them down quickly without freezing the contents. What normally might take a couple of hours is cut down to about five minutes. Larger items, such as wine bottles or multiple cans of other drinks take only a few minutes more. While the above tend to be large-ticket items, plenty of small high-tech gadgets exists as well. How about a milk bottle equipped with pH sensors to detect when the milk goes sour? Or how about a 3D printer which uses chocolate as its ingredient, making elaborate designs out of the delicious confection in very little time? Some of the funnest gadgets tend to be the most inexpensive. Many people say they don’t like to cook, or do not have the time. Perhaps by using some of these amazing appliances, they will change their tune and spend more time in the kitchen. About the Author: Jim Klossner writes about a variety of home improvement topics. When he is not writing, you can find him covering stories for Cahill’s North Shore HVAC services. How To Ensure Bathroom Tiles Stay Clean Why Choose Decking Lighting?